Bobby Curtis started off reasonably well in yesterday's BUPA Great North Run Half-Marathon in England. Through 9 miles, he was motoring along at 1:02 or 1:03 pace -- not exactly in line for a new PR (which is 1:01.52), but a very respectable time that would have placed him in the top 10-12 finishers. However, at about mile nine Curtis experienced ever increasing pain in his foot, and he decided to ease off the throttle and coast into the finish. 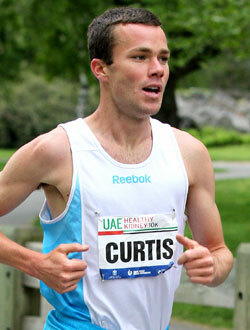 As a result, Curtis came home in 37th place, in 1:09:06. After the race, Curtis tweeted that he needed to stick to running one race a week. What he was referring to, of course, was the fact that on the day prior to Sunday's half marathon, Curtis ran the two mile at the Great North City Games in Newcastle. 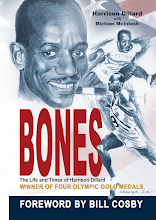 There, as chronicled below in a separate post, Curtis ran very well, finishing second to double Olympic champion Mo Farah, and ahead of two Olympians from Australia (Collis Birmingham and Ryan Gregson). Coming back the very next morning to run the very competitive BUPA Great North Run was too much for Curtis and he paid for it with the pain in his foot. Here are the top results from the race.